Headmaster Bill Taylor’s first Chapel Talk of 2018 focused on how we view new year’s resolutions. “Mine are not so much things that I resolve to do (or not do), because we often fall short and then usually lose focus on the resolutions. I prefer to focus on goals for the community that would be transformative and enriching for each of us in the year to come,” Taylor explained. Work hard – hard work is a transformative value that can be the deciding difference in achievement, success, and happiness outside of academics. Trinity-Pawling’s ethos of effort, manifested in the Effort System, is training for life in this regard. Laugh – laughter releases endorphins that strengthen the immune system, relieves stress, adds years to our lives, relaxes us, and connects us to others. Try not to be anxious over things that we cannot control – admittedly a tough one for me, as I acknowledge lying in my bed at 3:00 AM, unable to sleep. Try something new – join a club, join Mr. Burnham for his weekly improv sessions, sing in the choir. Create new friendships – several new students have joined our community mid-year. Remember what it’s like to be new—reach out to them and welcome them. Practice empathy – Google has actually worked this type of skill into its employee development program, called the Aristotle Project. They have done this because research tells us that empathy, being able to see the perspective and anticipate the feelings of others, is a critical skill in building community, including a productive workplace community. Be respectful – recognize that the people, places, and activities that surround you have meaning and value in our lives and will continue to do so into the future. By learning how to respect these entities, our self-respect is strengthened. We live in a world that has become increasingly disrespectful. Let’s push back at this in this community by strengthening our commitment to respect others, including those who have different opinions than us. Let’s not be polarized by disrespect. Be kind – We are actually born hard-wired for kindness, but it too often gets consumed by self-centeredness. Kindness is a strength, but because it involves making ourselves vulnerable we too often can see it as a weakness. It is actually self-centeredness that is our weakness. Be kind to others. Be self-aware – allow ourselves to be increasingly aware of our gifts, talents, aspirations, and dreams. Self-awareness is a commodity that can easily get lost amidst that accelerated pace of our lives. We don’t have time to reflect on who we are and want we want to become as individuals. Let’s spend time being dedicated to self-awareness. I think it could be the most important of these resolutions because self-awareness allows us to grow and growth is essential for a healthy life, as individuals and as a community. So much of life and work success comes down to who you know. In a world where connections are everything, a new platform, Jopwell, is facilitating thousands of them for Black, Latinx and Native American students and professionals. Trinity-Pawling’s own David Riley ‘03 is on the company’s sales team and to date, he and his colleagues have secured accounts with companies such as Adobe, Goldman Sachs, Facebook, Pfizer, UBS, and the NBA, to name just a few. “There is tremendous value in fostering diverse workplaces, yet many organizations struggle to attract and retain employees from these underrepresented communities. I was lucky—I used family connections to secure a four-year internship on Wall Street that opened my world to a number of different jobs I wasn’t aware existed. This is simply not the case for so many minorities. Through both automated and person-to-person processes, Jopwell is able to help match students and professionals with just the right job and company for their skillset, background, and interests,” Riley says. The brainchild of two Goldman Sachs traders, Jopwell was created to fill a void in the employment marketplace. Founders Porter Braswell and Ryan Williams identified the very definite gap between the amount of talented minority candidates and their ability to secure jobs at high profile, desirable businesses. At the same time, these very companies were looking for ways to expand and diversify their workforce. A successful pitch at a Y Combinator “Demo Day,” landed them venture capital funding (from the likes of Magic Johnson Enterprises and seven others!) to start Jopwell, which has grown from an idea on the trading floor to a 40-person company—with plans to expand again soon. 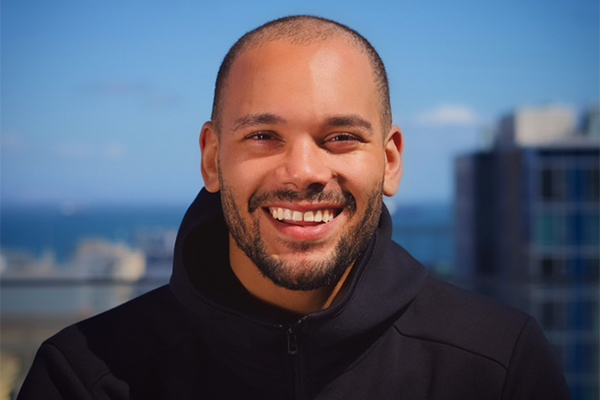 Certainly, Riley’s work at Jopwell is the perfect intersection of his own personal mission, talents, and passion—we can’t wait to see where this road leads!. Learn more about the work that David is doing here. 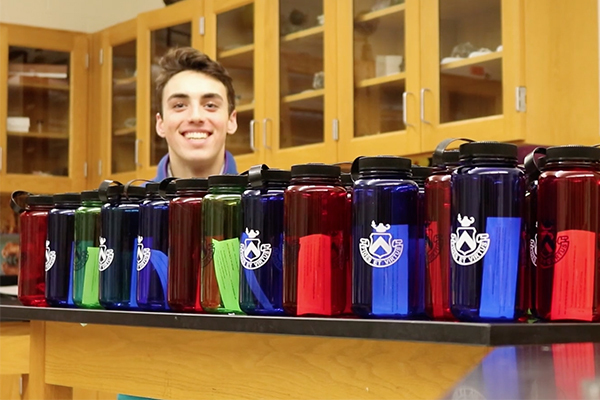 This fall for my Senior Independent Project, I wanted to supply the student body with reusable water bottles in an effort to reduce plastic waste on campus. The idea started in my AP Environmental Science Class, where I learned that the major problems facing our Earth are a direct result of human activity, and it is our responsibility to fix them. While I knew that I couldn’t resolve the plastic overuse and pollution issues globally, I knew I could start on a smaller scale: Trinity-Pawling’s campus. Alongside striving to be a more environmentally friendly school, I also wanted the reusable bottles to be a tangible object that could hold together class relationships. With that in mind, I designed four different colored bottles, representing the senior, junior, sophomore, and freshmen classes. So far, the results of my project have been incredible. I see students carrying their bottles to and from the academic building, the dining hall, and the athletic center. I’ve also noticed that several students have even personalized their bottles and in class, I have seen a drastic drop in the amount of plastic water bottles used. Overall, my project has exceeded my expectations and I can’t wait to see the long-term impact on campus! Watch my project video here! 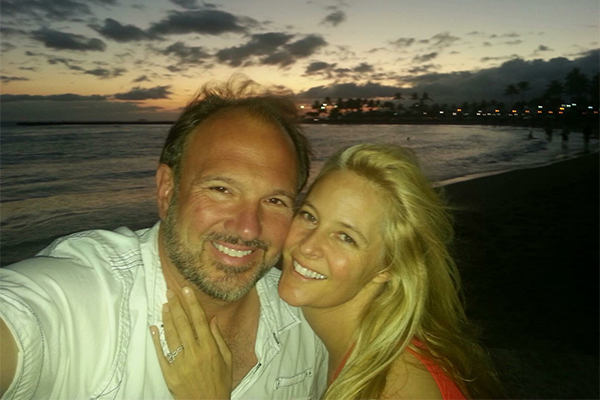 Carrie Rollings-Meynet ’85 and Jean-Charles Meynet ’84 prove it’s never too late to fall in love. The couple first crossed paths in the brief period that Trinity-Pawling opened its doors to girls—little did they know that destiny had planted its seed. T-P: Carrie, what was it like to attend Trinity-Pawling—with it being an all-boys school for so long? T-P: Jean, do you remember the first time you met Carrie? T-P: Were you high school sweethearts at Trinity-Pawling? C: No, we were not. We were in French Club and Theater Outing Club together, but we were not sweethearts then. T-P: What was “your song” in 1984/85? J & C: We can tell you that our song now, and at our wedding is Bryan Adams, “Heaven” —from 1984. We love 80’s music​! T-P: How did you reunite after 30 years? How many years have you been together? C: There was a class reunion mentioned on Facebook, and Jean reached out to me—surprised that I was living in Los Angeles. He was living in Santa Barbara. We went out for coffee, and then a date—the rest is history! We have been together six years and married for four this April 18th. J: We are blessed with three kids—Carrie has one daughter Tatiana (20) and I have two boys Daniel and Charlie (24,26). T-P: What did you do after graduating from Trinity-Pawling? C: I did my undergraduate at Lake Forest College (BA in Psych, Fine Arts, Art History) and got my Masters in Education at Louis University. J: I followed my passion and ​went directly into motorcycle racing ​and went pro in 1987. And I still compete in motorsports today! T-P: Carrie, you are a very successful realtor—what do you like most about the real estate business? C: I have had three separate careers. I was a teacher after grad school and loved it. I taught at the first inclusion school in Chicago and was a master and mentor teacher when I moved to Los Angeles. I wrote curriculum for Los Angeles Unified School District,​ and was on the board of our charter school system while I was a full time teacher. When I had my daughter, I pursued a second career in fashion design. I actually made many of my clothes that I wore to T-P, loved it then and all the way through today! I started “​Little T Wear”​—designing and manufacturing children’s apparel. I loved the design work, pattern making, fabrics, but not crazy about overseas production. 13 years ago I went into real estate. I do both commercial and residential. Commercial being more male dominated, I feel right at home. T-P prepared me well. I love the designs of homes and structures, but what really intrigues me is the process of negotiations​! I love that the most! T-P: Jean, how did you get into the auto racing business? 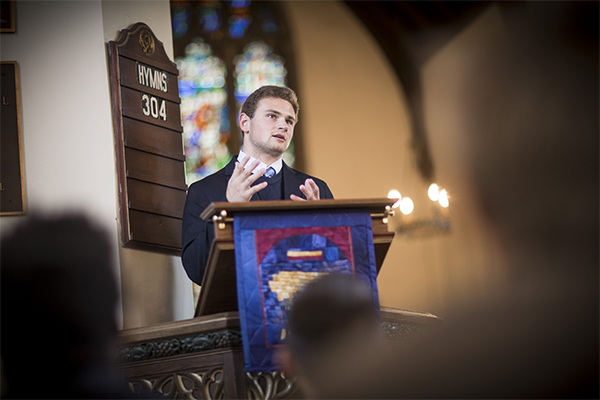 T-P: How do you think Trinity-Pawling laid the foundation for your life together? J: It took a Colorado girl living in NY and a California boy to go to T-P to find each other. C: I would say it was fate—we found each other briefly as friends in the 80’s, only to then reconnect in 2012. We had such an unusual experience at T-P that it bonded us upon our reunion. 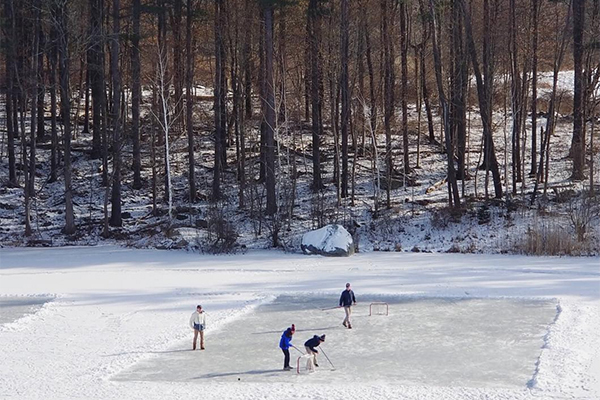 T-P: What was your favorite place on the Trinity-Pawling campus? C: I liked the chapel because I used to sing in the choir and also the volleyball court. We had only one girls’ team—the volleyball team. All the girls had to play, and we only had one ​extra ​girl to transfer in. After that, the girls graduated off. I was proud of our team—we only lost ONCE! True miracle! T-P: Where do you see yourselves in 10 years? C & J: Traveling, involved with motorsports, being in creative businesses, surrounded by friends, family, and a lot of pets! 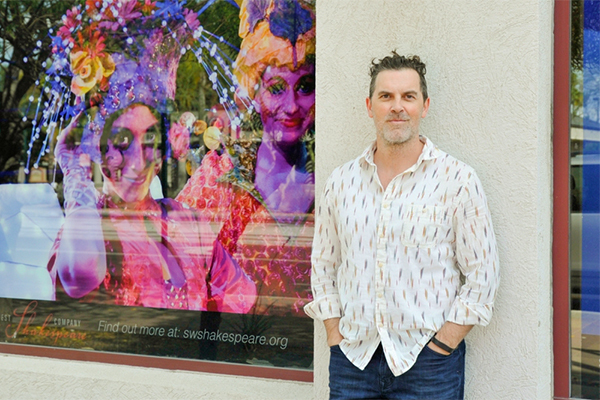 Backed by a career of acting, directing, and teaching on stages and in classrooms across the country, Kent Burnham, Trinity Pawling’s new Director of Theater Arts, brings an inspired and student-centered approach to the School’s developing theater program. With a solid foundation, an inspiring philosophy, and big plans in the making, Burnham is thrilled to be leading Trinity-Pawling’s theater program into its next chapter. “New course offerings, workshops with professionals, play readings, guest artists, new and edgy productions…I want these boys to have it all,” Burnham shared. “Because you never know what will inspire. I’m inspired just by watching my students learn. It’s collaboration 100% of the time. That’s what I love about theater.” And that collaboration, he hopes, will continue to challenge his students to be braver, smarter, and more empathetic in the theater program and beyond. With 22 actors involved in this riotous and imaginative production, the theater department is fully immersed in rehearsals and preparation for the opening night in two weeks. This wild and funny grown-up’s prequel to Peter Pan is a cleverly staged play with music, and an imaginative adventure for dreamers of all ages. Stories of staying forever young and cultivating optimism have always filled mankind’s dreams. 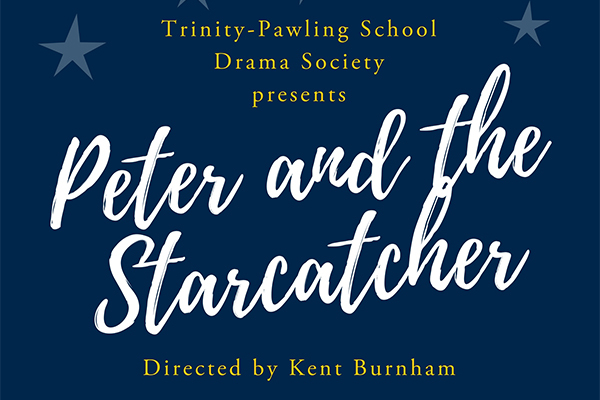 Tony award-winning Peter and the Starcatcher upends the century-old story of how a miserable orphan comes to be The Boy Who Would Not Grow Up. What Wicked did for The Wizard of Oz, Peter and the Starcatcher does for the tale of Peter Pan. Trinity-Pawling Drama Society takes to the Gardiner Theater stage February 28 and March 1 at 7:00 PM. The varsity hockey team won the Founders League for the first time in School history with a record of 5-0-2. They continue to play in their quest for a bid to the New England tournament. In the same week, the wrestling team won their fourth consecutive Founders League Championship. This past weekend, the team traveled to Taft for the Western New England tournament and finished second to Brunswick School. Dave Bancroft ’19, Bim Gecaj ’18, Graham Roediger ’18, and Jake Conlan ’19 were champions in their respective weight classes. The varsity basketball team won five out of six games following Christmas break including sweeps of Avon and Taft. Seniors Brandon Redendo, Korey Lee, and Beau Smith have played consistently well for the Pride. The ski team continues to make progress as each boy improves on a daily basis. Newcomer Griffin Fluehr ’20 has been the most consistent skiier. The varsity squash team has battled injuries all year long, which has forced players to move up the ladder and play against internationally ranked players. The 3rd basketball team remains undefeated with contributions from the entire squad. A strong defensive core combined with timely scoring has helped the JV hockey team defeat Hotchkiss, Taft, Salisbury, and Canterbury in the new year. 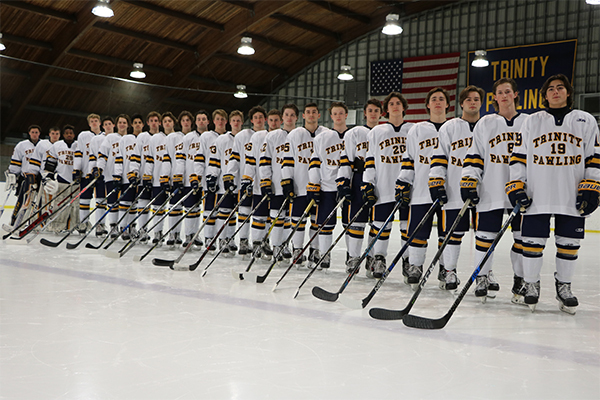 In addition to our live coverage of Trinity-Pawling hockey games on YouTube Live, we are pleased to announce that Trinity-Pawling basketball games and squash matches will now be streamed LIVE on the Trinity-Pawling website using our new PlaySight technology. 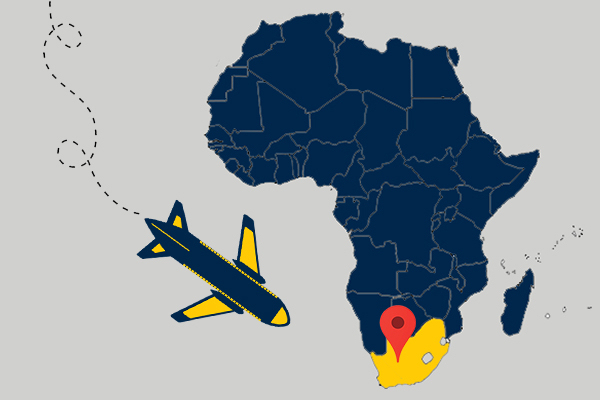 Over the March break, Director of College Placement Slade Mead, and Director of the Gardiner Library and Learning Commons Amy Foster, will lead a group of 21 students on a trip to South Africa. The nine-day adventure, paired with a 2018 Winter Project, is packed with educational exploration, sightseeing adventures, and service-learning. From a visit to Robben Island, tours of several wildlife sanctuaries, hiking, shark caging, and volunteering in a school in the Kurland village, the travelers have a lot to look forward to. Stay tuned for the travel log! Trinity-Pawling empowers students to be leaders through a distinctive blend of academic, civic, and campus opportunities. Whether as a Prefect, a Dorm Proctor, a member of the National Honor Society, a team captain or the lead in the school play—boys are challenged to stretch, venture out of their comfort zones, and take on responsibilities that shape who they are, and ultimately who they will become. Your contribution to the Trinity-Pawling Fund supports the learning environment that influences the LEADERS of the future. Will you consider a donation today? Every gift has a profound impact on our students and all of campus life. A special experience awaits those who contribute at the Leadership level this year. We are holding our inaugural Leadership Summit on June 9, 2018. With your gift of $1,500 and above, you will receive an invitation to this capstone event. It is with deep gratitude that we recognize the following donors who have participated in this year’s Trinity-Pawling Fund to date. The success of the Fund is made possible through the extraordinary generosity of leadership gifts, as well as strong participation throughout the School community. Your investment enables Trinity-Pawling to provide students with an excellent educational experience marked by dedicated faculty, vigorous academics, need-based financial assistance, and exceptional opportunities in the arts, athletics, and many other extracurricular areas. This Honor Roll of Giving list reflects donors who have made gifts or pledges to the Trinity-Pawling Fund in the 2017-2018 fiscal year, which began on July 1, 2017. CELEBRATE WITH US IN WASHINGTON, D.C. 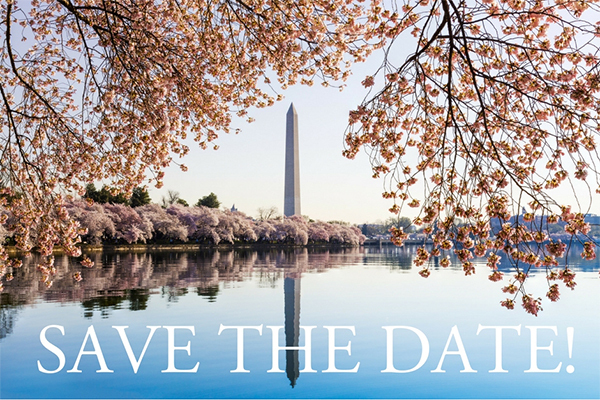 Alumni, parents, and friends are invited to join Headmaster Bill Taylor and Jennifer Taylor for a reception at The University Club in Washington, D.C.
and Kathryn and Ken Weeman ’59, P’91 and Carter Weeman ’91. 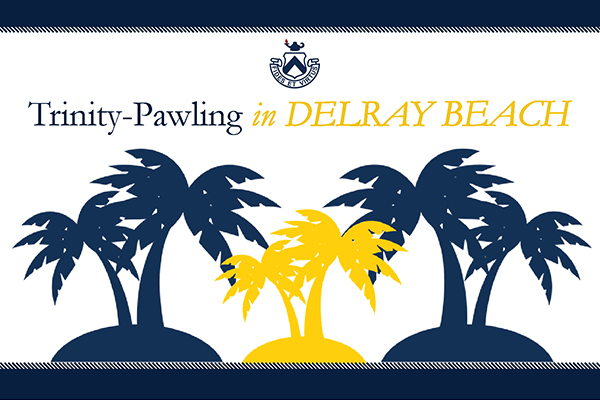 JOIN TRINITY-PAWLING IN SUNNY FLORIDA! 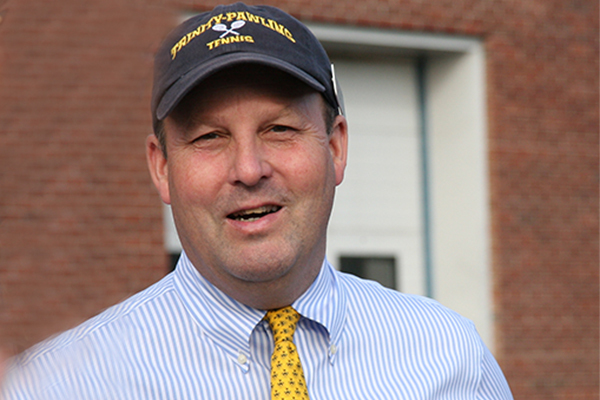 We hope you’re planning to join fellow alumni, parents, and Trinity-Pawling faculty for an evening reception with Headmaster Bill Taylor and Jennifer Taylor! View all Trinity-Pawling events here.